A recent experience with Verizon has prompted me to write this article. This is only part of a larger request for service changes with Verizon. This seemingly simple request, to upgrade from the ancient, however, extremely effective 25/15 MB plan to a more current 50/50 MB plan. 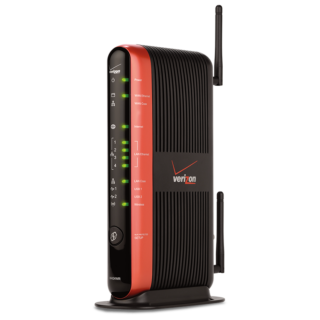 To do so, I was under the impression from their advertisements, their sales, and many different Internet searches that I needed to upgrade to their flagship hardware of the Verizon FiOS Quantum Gateway AC1750 (1100). This modern day router was first listed on Amazon in December 2014. By their support team, I was given three options, rent for $10 for life or buy from a third-party, or buy it from Verizon. I had already spent days dealing with Verizon, I didn't want to complicate things too much more, so I opted to buy from Verizon for $150. The next day, I received the router, swapped out the old Verizon Fios router Actiontec MI424WR Rev I. After a few minutes, I was up and running at 25/15, but that is okay as the plan modification did not yet take effect. This gave me time to ... wait ... my network stopped working. Yup, I had a problem. After about 30 minutes, I figured out the problem to which a resolution was not as easy, or was it? The identified problem, one that will likely not effect many home users, but did this one. The new, improved, modern router does not offer a feature that the older Actiontec router does. There is no DHCP Relay support. The screenshot below is from the Actiontec MI424WR Rev I router. If you drill down the Advanced menu of the Quantum Gateway, you will not see this option, only Disabled and DHCP Server. I did more research and nobody really it made it clear to me if the Actiontec router would support the 50/50 MB bandwidth. I don't see why it wouldn't, but my opinion alone doesn't matter. I called Verizon, after 45 minutes of "discussion", I was left without a choice. I either except the new router at 50/50 MB and redo my whole network and accept compromise within my network or continue to argue the point that their own technical staff has explicitly written that this Actiontec will support the 50/50 MB bandwidth. There were other variables and points that were argued during that call, and in the end, it was confirmed by the supervisor on duty that the Actiontec MI424WR Rev I router will support the 50/50 MB bandwidth (with the caveat for my current situation). I will make this clearer, so for those of you whom are struggling with this same delima. The Actiontec MI424WR Rev I router will support the 50/50 MB bandwidth. The Verizon 25/15 MB plan bears these results on speedtest.net. Results as of 7/28.2018. Old plan. The Verizon 50/50 MB plan bears these results on speedtest.net. Results as of 8/6/2018. Enrolled into the new plan.